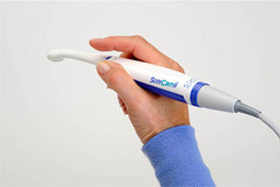 Early diagnosis and prevention of dental pathologies is the main focus of our practice. In our dental clinic, we utilize state of the art technologies to diagnose and treat dental pathologies. When we are listening to our patient’s concerns and goals, we are also learning a lot about their condition, caries and periodontal risk, their dental experiences that contributed to their current condition. We are dedicating considerable amount of time to educate patients about the nature of caries or periodontal disease, it’s causes and preventive measures and how it affects the whole body. That makes our patients active participants in the treatment process and considerably improves the results. Modern dental science and materials provide an opportunity to treat dental caries and periodontal disease conservatively. Our goal is preservation of a tooth and periodontal structures and we try to accomplish it by utilizing principles of Minimally Invasive Dentistry. 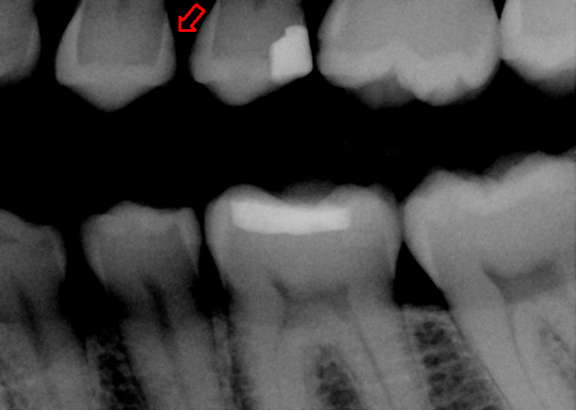 This digital X-ray image is an example of early diagnosis. 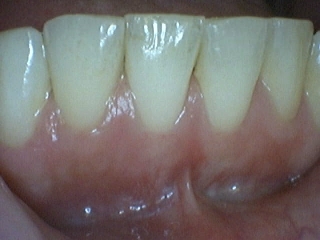 The arrow points to the incipients caries in the enamel That caries can be reversed(remeniralized) if proper priventive mesures are undertaken. 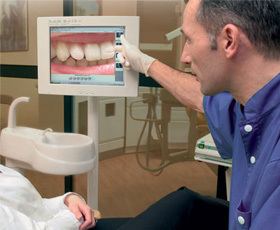 Digital x-ray diagnosis of periodontitis. The Red line indicates current bone level. 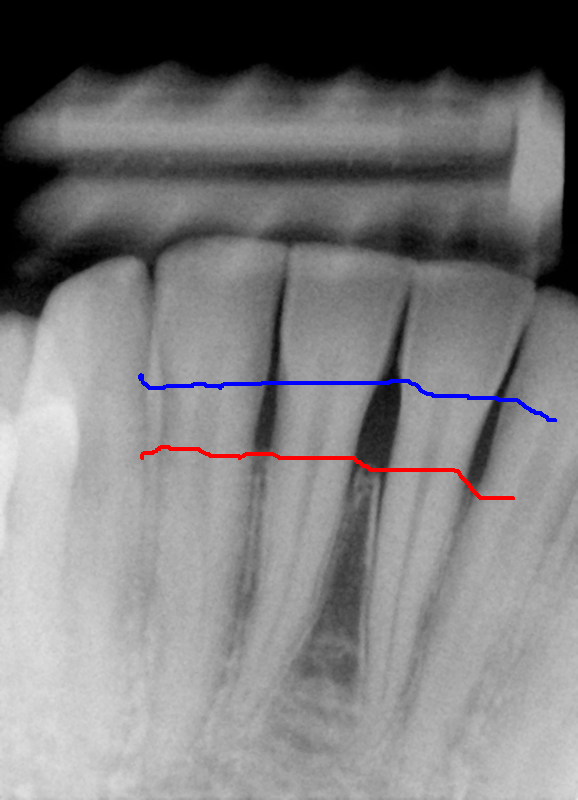 The blue line indicates the original bone level.